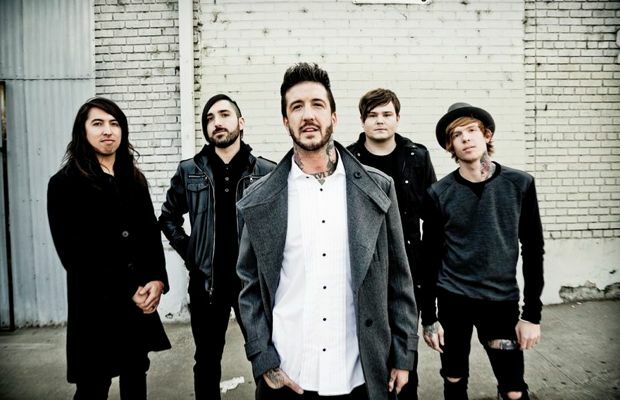 Of Mice & Men have been forced to cancel a handful of their festival appearances on their European tour due to frontman Austin Carlile's health issues. Canceled dates include: Summer Breeze (today, August 14), Pukkelpop (tomorrow, August 15) and Elb-Riot and X-Rockest this weekend. The band will, however, resume their currently scheduled tour itinerary this coming Tuesday, August 19, in Berlin. You can check out an official statement from the band below. Due to Austin having unforeseen health issues we're unfortunately not going to be able to play the first few festivals of our upcoming tour in Europe while he rests up. This will include our scheduled appearances at Summer Breeze today, Pukkelpop on Friday and Elb-Riot and X-Rockest this weekend. We apologize to our fans in Belgium and Germany who were attending these shows but we will be back soon to make up for this. We are going to be resuming our tour on August 19th in Berlin and all other upcoming shows including Reading and Leeds Festivals are unaffected.